One of the biggest challenges faced when getting a Bible is the question of which translation to choose. 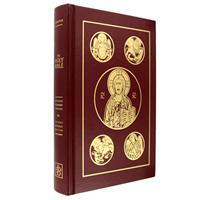 We frequently get people asking "what is the best Catholic Bible?" or what is the best translation?" The answer is always, "well it depends." There are many factors that contribute to what is the best Bible for a given person. It may be readability, it may be fidelity to original sources, or any number of factors. The guide at the bottom of this page can help you sort out the best Catholic Bible translation for your particular need. 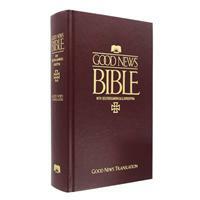 The following translations are available from our store: Douay-Rheims, New American Bible Revised Edition, Revised Standard Version, New Revised Standard Version, New Jerusalem Bible, and Good News Bible. 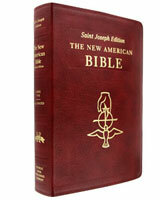 Each translation offers a unique experience of scripture.Unless otherwise noted, all Bibles sold by Catholic Bible Store are approved for use by Catholics by the United States Catholic Conference of Bishops. Unsure which translation is right for you? 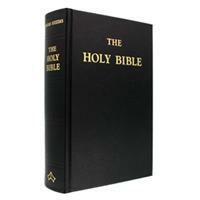 Use our Guide for selecting the right Catholic Bible. This translation of the Latin Vulgate (St. Jerome translation into Latin from the Greek and Hebrew) is the closest translation to the King James Bible. This translation was used before the NAB. This translation is written in simple, everyday language. The focus is on an ease of understanding that makes reading the Bible enjoyable for all ages. This is the update of the 1966 Jerusalem Bible based on the 1973 French Edition with revised footnotes, updated text, and inclusive language. 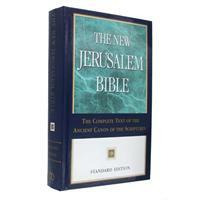 The New Revised Standard Version is a revision of the KJV. 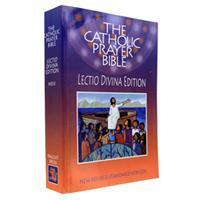 The NRSV is the translation used as for biblical references in the Catechism of the Catholic Church. Some say this is the best English translation for Bible study because it closely follows the Hebrew and Greek originals. It is a revision of the English Bible in the King James tradition. It is written at a tenth grade level.